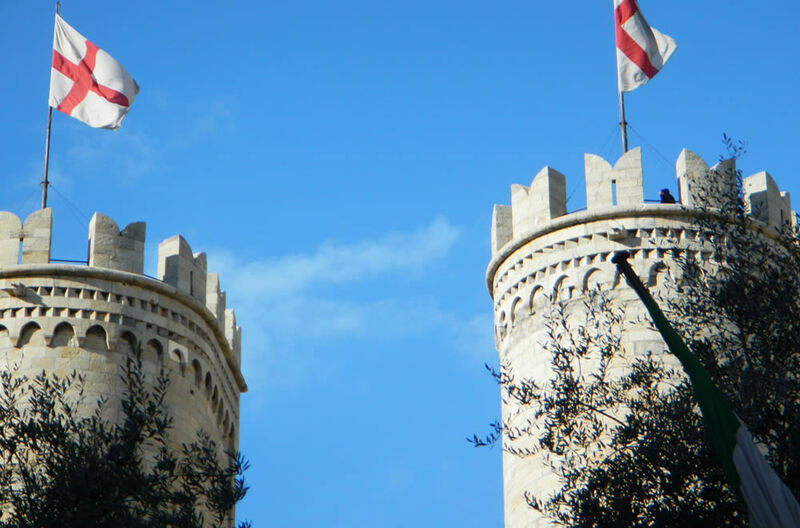 A few meters from our hotel there are the famous Palazzi dei Rolli with the Museums of New Road, noble palaces that have made the history of Genoa and Europe from 1500 onwards, and now UNESCO World Heritage Site! From here begins the path the path to artistic and cultural history of the historical center of Genoa, the largest historical center of Europe. At the end of Via Garibaldi, turn right into Piazza del Ferro, once the center of small shops and workshops for the manufacture of iron and home to some historic shops and an ice cream parlor missed. Continuing to descend via Luccoli with its many shops and buildings that seem to touch each on top of the roof for the game in perspective, but also because a little 'oblique they really are. After a while 'shopping, a nice coffee with cream, a slice of cake and lots of magic Shops , we arrive in "Piazza Banchi" once the Stock Exchange Genoa (BANCHI (DESKS) that changed the coins and values) with its Church of St. Peter in Banchi in a rare example of church raised whose arcades are home to shops.